I take back everything I said about Sheen and his disclosure. When you become a public advocate for a disease you share with millions of other people, it comes with a hefty dose of responsibility. Sheen’s first steps with this responsibility? He launches a “chase the cure” effort with The Dr. Oz Show (presumably with a nice ongoing paycheck), goes off his meds without telling anyone, goes to Mexico to seek a miracle cure from a scam artist even Dr. Oz hasn’t heard of -- a “Dr.” Sam Chachoua (he’s unlicensed in the U.S.) -- who is so convinced he’s cured Sheen that he supposedly injects himself with Sheen’s blood (according to Sheen, who probably thinks magicians actually saw women in half). 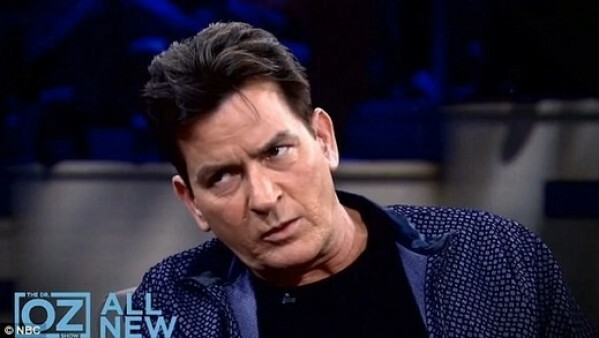 To his credit, Dr. Oz chastises Sheen’s first cure attempt, and convinces him to go back on treatment. He also brings on the show the only HIV expert I’ve seen in the same room with Sheen thus far (Sheen’s own doctor is NOT an HIV specialist) -- Dr. Michelle Cespedes, and infectious disease specialist from Mt. Sinai -- who explains why Sheen’s rebounding viral load is so dangerous (and offers a great primer on the destructiveness of inflammation). As I watched this craziness play out, my compassion for this man vanished. He will surely convince others to seek out “Dr.” Chachoua in Mexico, and some of those folks might end up dead. Charlie -- please leave the search for a cure to the selfless advocates that actually care about this goal. Crawl back into your “babe cave,” write a big check to amfAR, and call it a day. 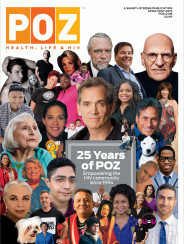 Real AIDS advocates are the reason you’re still alive, so stop shitting on our legacy and continued work.